New: instructions to bead this project are available here. 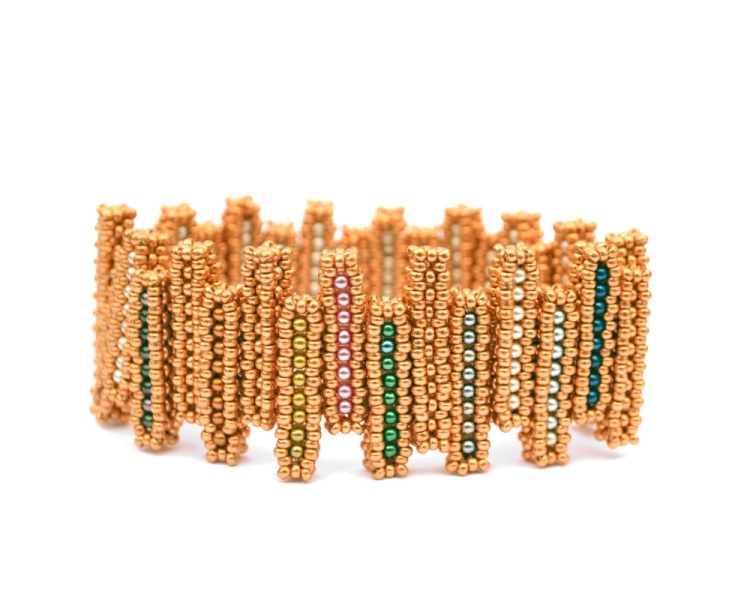 This elegant and reversible bracelet combines Cubic Right-Angle Weave components and a mix of beads to create a versatile bracelet with many possibilities. I have long been inspired by city skylines and previous projects have used this in their design. For this project I wanted to take the London skyline, with its many tower blocks of different heights and the different coloured washing you see hanging on each one, and turn it in to pieces of jewellery. After experimenting with different stitches I turned to CRAW and after much bead experimenting I came up with this reversible and versatile project.